Funeral services for Donald Robert Hathcock, 68, Pomona, Missouri, will be held at 10:00 a.m., Saturday, January 26, 2019 in the Rose Chapel at Robertson-Drago Funeral Home. 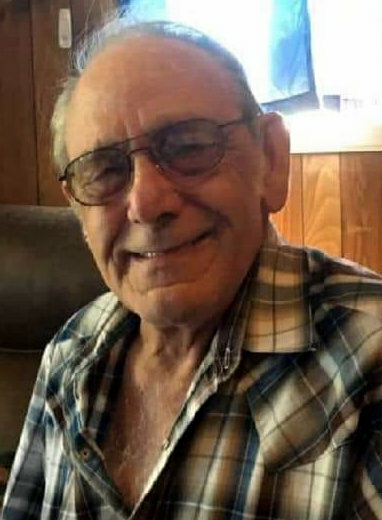 Mr. Hathcock passed away at 9:34 a.m., Monday, January 21, 2019 at Ozarks Medical Center. He was born October 9, 1950, at Davenport, Iowa, to Archie B. Hathcock and Edna Mae Hendricks Hathcock. On July 10, 1996, he was married at Midway, Arkansas, to Lucinda Edwards. Mr. Hathcock was a veteran, having served with the United States Army during the Vietnam Conflict and was a member of the Am Vets and VFW. His family was important to him; he enjoyed playing pool, shuffleboard and riding his motorcycle. He is survived by his wife, Lucinda Hathcock, of the family home; five children, Dawn Marie Rhoads and husband, Rocky, Davenport, Iowa, Donald Hathcock, Jr., and significant other, Robyn, of State of Illinois, Casey Joe Hicks and significant other, Dezray, Springfield, Missouri, Amy Sue Bell, Springfield, Missouri and Shona Diaz and husband, Alex, Willow Springs, Missouri; seventeen grandchildren; twelve great-grandchildren; three brothers, Stephen Plumb and wife, Judy, Ava, Missouri, Joe Hathcock and wife, Karla, Gainesville, Missouri and Bruce Hathcock, Sikeston, Missouri; six sisters, Luetta Howard, Joplin, Missouri, Maryily Hathcock, Marshfield, Missouri, Catherine Russell and husband, Don, Marshfield, Missouri, Lola Marberry, Niangua, Missouri, Rita Kelly and husband, Greg, Davenport, Iowa and Louise Rhine, West Plains, Missouri; and a host of nieces and nephews. His parents, one son, Robert Farrell Hathcock, three brothers, Vanton, Eugene and Winston and one sister, Bonnie Lynn, preceded him in death. Visitation will be held from 6:00 until 8:00 p.m., Friday, at Robertson-Drago Funeral Home. Burial will be in the Howell Memorial Park Cemetery. Memorial contributions may be made to Wounded Warriors Project and may be left at Robertson-Drago Funeral Home. Lucinda and family, we are so sorry for your unfortunate loss of Don. Just know he was thought of highly and loved by all. Our prayers go out to you and all his family. May God put his healing hand on your heart and help you through this terrible ordeal. From one Ladies Auxiliary member to another we will help you through your grief, as much as is humanly possible, Lucinda we love you, just remember this as time goes by. God will get you through. Don’s loss is a great one for all of us. He was liked and respected by all of us. Please know that he is no longer in pain and is in God’s hand. We are here for you in whatever you may need. We share your grief and have you in our prayers.